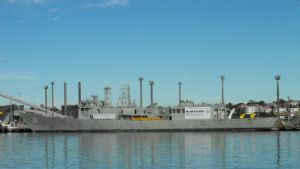 The HMAS Adelaide is the largest naval warship to be sunk off the NSW coast. Being over 138.1 metres long and 15 metres wide, this is a huge vessel- purposely scuttled as a diver recreation area and artificial reef. With our exclusive mooring, you are able to explore the HMAS Adelaide aboard one of our two purpose built dive vessels every day of the week. Weather permitting. Dive guides and Scuba rental equipment is available for hire with prior request. 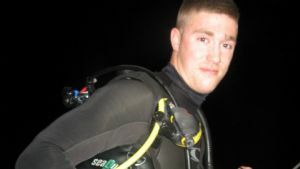 Scuba diving at night allows you to experience your local dive sites in a different light. Learn to dive with PRO DIVE Central Coast. Pro Dive Central Coast located at Killarney Vale have been teaching people to dive for over 25 years. They have a full retail dive shop, onsite accommodation and their own purpose built training pool. 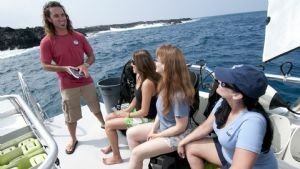 Once you are qualified, you will also have the opportunity to dive from the purpose built dive boat. 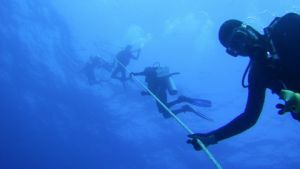 Your Pro-Dive Central Coast Divemaster program brings you to the first level of professional diving. During this program you will learn how to deal with divers, organise and participate in well-planned dives, assist clients with all their needs and make them want to come back to you, every time they think about diving. Learn to dive with PRO DIVE Central Coast. Pro Dive Central Coast located at Killarney Vale have been teaching people to dive for over 25 years.They have a full retail dive shop, onsite accommodation and their own purpose built training pool. Once you are qualified, you will also have the opportunity to include a boat dive from the purpose built dive boat. All snorkeling and scuba gear is included. Take your diving adventures to a more exciting level with our Advanced Open Water Diver program where you will experience 5 great dives like deep diving, boat diving and an awesome night dive, all in just one weekend. 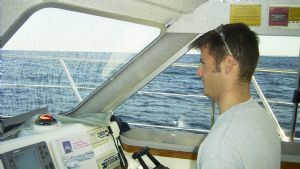 I will also show you how you can do all this and improve your skills in navigation including tips on how you can improve your air consumption and buoyancy. This would have to be be our most popular course which is designed to really enhance your diving skills. I recommend this course to those who have just completed their Open Water Course through to those who have not dived for some time.